Fundraising is a great way to boost morale in your contact centre and help a good cause. Here are some fun activities you could try. A ‘Jail Break’ is a race which requires individuals to use their powers of persuasion and improvisation to get from one location to another – without money or the use of a mobile phone! This is a great activity to try if you run your contact centre across multiple sites, as your agents can race from one site to the other. Alternatively, you could drop your agents off at a chosen location and let them race back to the contact centre, or see who can get the furthest away from the contact centre within a 12/24/36-hour period. Set sponsorship targets for each agent, e.g. £50, which they have to raise before they can take part. Charge an entry fee per agent, e.g. £10. You can then hold back a percentage of this money for the winner – and donate the rest to charity. It is advisable that all agents taking part carry a switched-off mobile phone while taking part in the challenge – strictly for emergencies only. You could also run the event in teams for additional safety. This is a timeless charity fundraiser that asks for a donation (usually £1) in exchange for ditching the office dress code. You can spice this up by hosting themed fancy dress days (animals, superheroes, etc. ), or celebrating annual charity events such as Comic Relief or Children in Need. 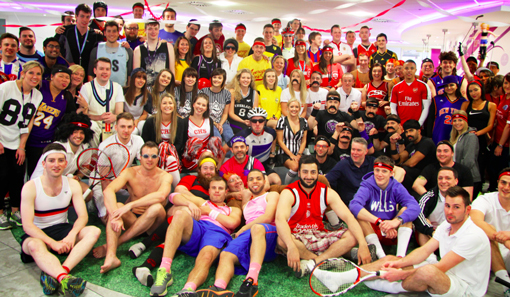 These agents took full advantage of a sports-themed dress down day! Most contact centres have a table tennis or football table in their break-out room. Put yours to good use by hosting an in-house tournament. All you will need is some willing agents and a scoreboard. This could be as simple as having a white board in the break-out room, although displaying the live scores on your wallboards can help to generate more excitement on the floor. You can then gather donations either by asking for an entry fee, or doing an office sweepstake (with a proportion of the takings going to charity). It is a good idea to run such a tournament over a number of days to give all agents the opportunity to take part – no matter what shift pattern they are on. Another good idea is to host a raffle with contact centre perks – such as ‘early finish’, ‘best parking spot’ and ’15 minutes extra break’ – being used as prizes. 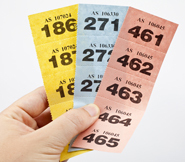 You can then sell raffle tickets to your agents – with the proceeds going to charity – and draw the winners at the end of the week. Alternatively, you could auction these perks off to the highest bidder. 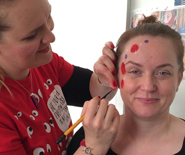 Face painting is a great way to brighten up the contact centre with a little bit of silliness. It has the added bonus of requiring minimal resources – just a designated face painter and some face paint. You can then ask agents for donations in exchange for having their face painted – £2.50 per face is reasonable. If you don’t have the budget to hire a professional, ask around for willing volunteers. 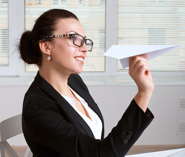 You may be surprised at how many of your agents want to unleash their inner artist. 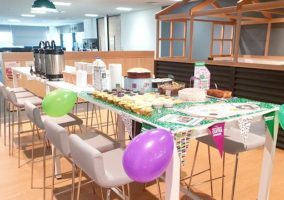 Hosting a “Contact Centre Bake Off” is a great way to create a fun and competitive atmosphere on the floor. Simply ask all participating agents to bring in their baked goods on a particular day – Fridays usually work best – and have your management team taste test them to decide the winner. 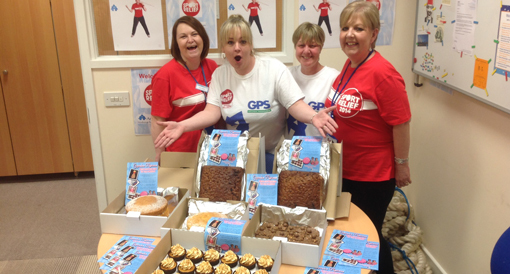 These agents got baking for Sport Relief 2014. You can then sell or auction off the remaining slices of cake and donate the proceeds to a charity (of the winner’s choice). You could also tweak this idea to accommodate different dishes, such as homemade pizzas or pasties. Sponsored activities are a great way to gather donations from friends and family outside of the contact centre – especially if you invite them all to watch the main event. When it comes to ideas, agents can sign up for anything from running a marathon to having their eyebrows waxed off! You may be surprised at what your agents are prepared to do to help their favourite charity. 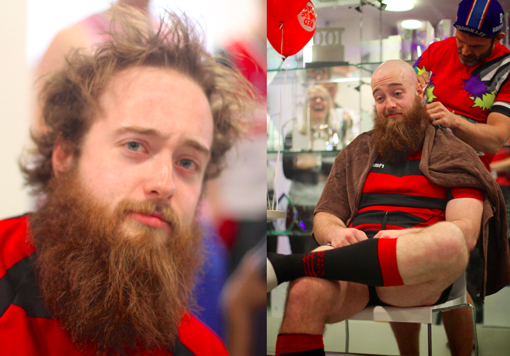 This agent volunteered to have his head shaved in the name of charity! Hosting an indoor sports day is a fun way to get your agents to part with their small change – by charging just 50p to enter each event. If held regularly, these events can go a long way in topping up your annual fundraising efforts. Organising a talent show can be a great way to fundraise on a large scale – especially if you run a large contact centre operation and invite friends and family along on the night. You can raise money by selling tickets to the live event, sending agents round with change buckets and selling sweets and treats on a tuck stall. One contact centre in Glasgow hosted their own version of “Britain’s Got Talent”. Throwing “custard pies” or buckets of water at the Team Leaders is a fun way to let agents “get their own back”. All you need is a few buckets, or some home-made custard pies (easily made with paper plates and squirty cream), a car park and some willing Team Leaders. Then you just charge per bucket or pie, and let the fun begin! “Custard pies” helped these agents in Brighton raise nearly £1,000 for Red Nose Day! 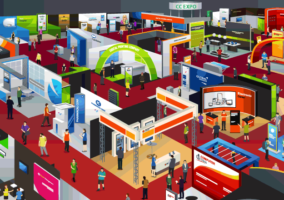 Have you tried any of these activities in your contact centre? Put your thoughts in an email to Call Centre Helper, or send your photos to Megan at the newsdesk.